Giving you the knowledge, tools, and support towards improved diabetes management.. 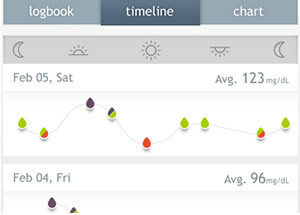 The Dario App provides users with a complete solution for personal diabetes management. 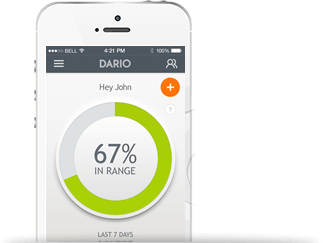 The Dario app supports users by tracking all your blood glucose levels in real-time and with actionable insights to allow for optimal self-management of diabetes. Get the support you need to understand your glucose levels in the moment and over time. The digital health platform of Dario makes it simple to share your health information with your healthcare team. Simply open the Dario Diabetes Management Solution App on your phone and plug into your smartphone. 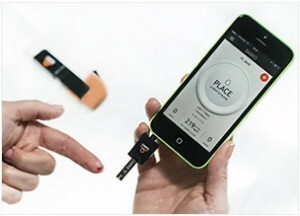 After apply your blood sample to the meter, your blood glucose readings will automatically appear and sync to the app. Dario gives you a quick snapshot of your statistical information, including your number of in-range readings, hypos, and hypers. All of your recorded data – blood glucose levels, carbs & insulin intake, physical activity as well as your mood, tags, and notes are easily accessed in your logbook. Your data can be viewed as a chronological list, graph, or by time segment. Compare how your glucose levels are at certain times of the day or after certain foods or activities. You can also edit and share your data with your healthcare team and loved ones. Dario helps you to take out some of the guess work when carb and calorie counting with our extended food database. You can also log your own cooked meals, save favorites, and add previously tracked foods in local menus. 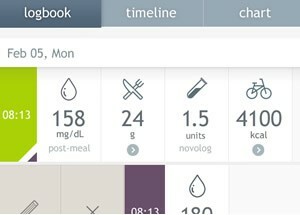 Your own personal dashboard keeps you motivated by giving you a clear picture of how well you are managing your diabetes and where you can improve. 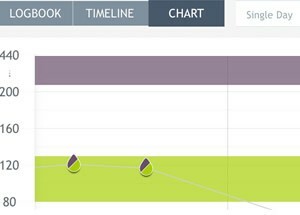 The statistics screen breakdowns and categorizes your measurements so you can easily see trends and help keep you motivated and on track. 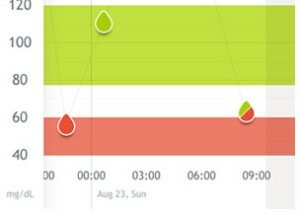 Trend charts give you a clearer picture of all your measurements and activities, giving you the ability to analyze trends and know the status of your diabetes management. Select the time frame you want to review and read easily understandable charts that visualize your important measurements and statistics. You can choose from one unit of data (i.e. glucose reading, carb, etc.) at a time to explore the connection and identify patterns that may not have been apparent before. Your data is constantly synced and available via our cloud-based app – it is accessible wherever you are. Securely stored in our server, you can share critical data with your loved ones, caregivers, and physicians from anywhere in the globe.